Festivals are the merry making time for everyone. Rituals differ in various cultural backgrounds but mainly its simply about get-togethers, eating, drinking, shopping and most of all having fun. But there a few festivals around the world that are more than all this. The festivals are more on the insane side than normal festivities. Here we bring you such insanely weird festivals which will make you think what made them start this. Celebrated annually on July,29 in town of Las Nieves, Spain the festival is also known as Near Death Festival. 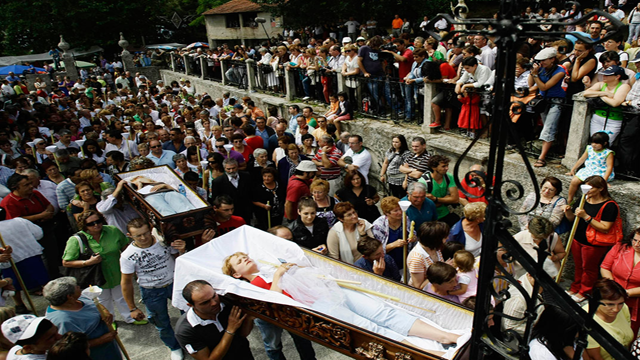 People attend mass in honour of Saint Marta de Ribarteme, the Patron saint of resurrection. There are living people who are carried in coffins who have near death experience in last 12 months. To mark the arrival of new year in Thailand a water gun festival is celebrated. This is celebrated from 13-15 April mostly. 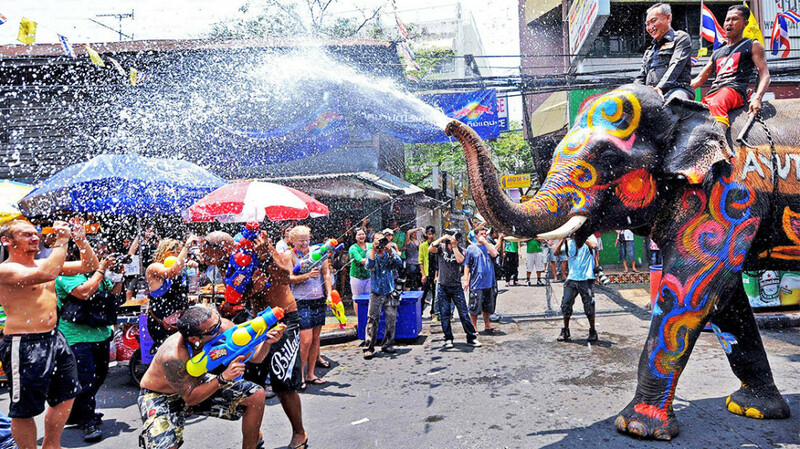 The festival is just not limited to water guns but also involves water buckets and even elephants. 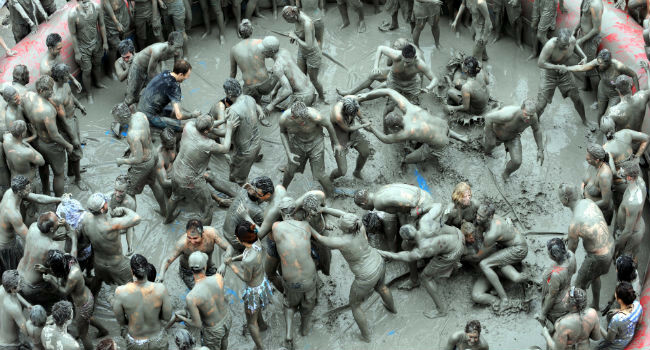 Of the numerous festivals in Korea, it is the Boryeong Mud Festival that probably attracts the largest number of international visitors. As most minerals in cosmetics are basically from mud it was started to boost the local cosmetic industry. 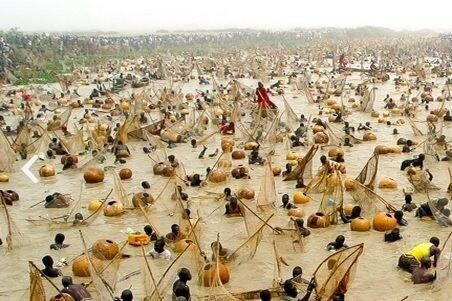 The Argungu Fishing Festival is the culmination of a four-day cultural event in Nigerian state of Kebbi. Thousands of fisherman come to this festival to catch the biggest fish that too just in one hour. 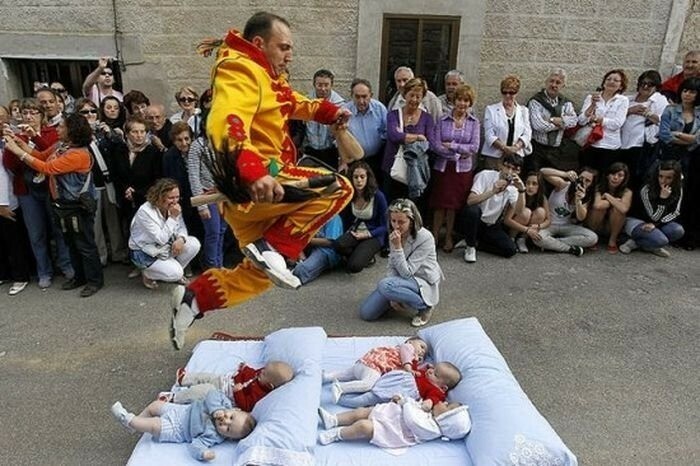 ‘The Baby Jumping Festival’ is a Spanish ritual where men dressed as devil jump over babies who are less than 12 months. The belief is that this keeps them away from evil spirits and cleanses their original sins. In this festival the one who cries first wins. ‘Crying Sumo’is a Japanese festival where two sumo wrestlers hold a baby facing each other and the first one to cry wins. They have a proverb ‘Crying babies grow faster’ on which the festival is celebrated. No, they dont drop the moose but moose’s poop is dropped. 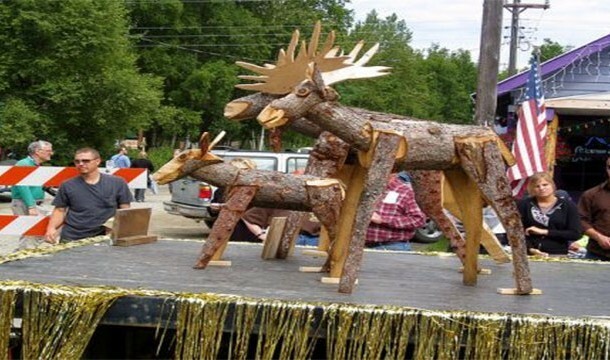 Held in Alaska highlight of the festival is dropping moose poop on targets from hot air ballons. 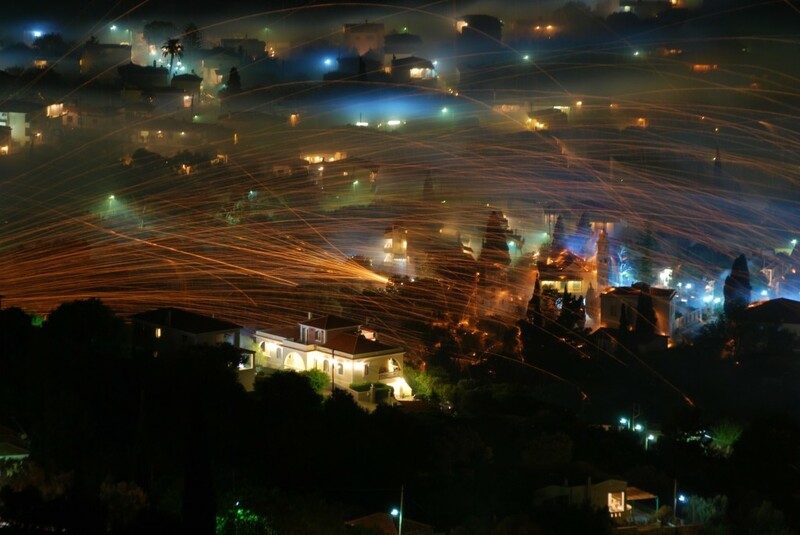 The Rocket War happens on Easter between two Greek churches in the town of Vrontados where thousands of rockets are fired at the other church.